Cyndi Mendez-Karr has been running since she was a little girl. She fondly recalls racing with her father growing up, but never realized what kind of impact the hobby would have on her later in life. Karr decided to pick up running again in 2010 after watching her first full marathon. She never thought she’d pick up running as a hobby again, but she had a new dream of running the Boston Marathon. On April 15, 2013, Karr’s dreams became reality once she found herself at the starting line of the Boston Marathon. Twenty minutes after Karr crossed the finish line, two homemade bombs detonated 12 seconds apart from each other near the finish line of the marathon. Karr had just been reunited with her family who were waiting for her at the end of the race when she heard the bombs go off. The terrorist attack resulted in three people killed and many others severely injured. 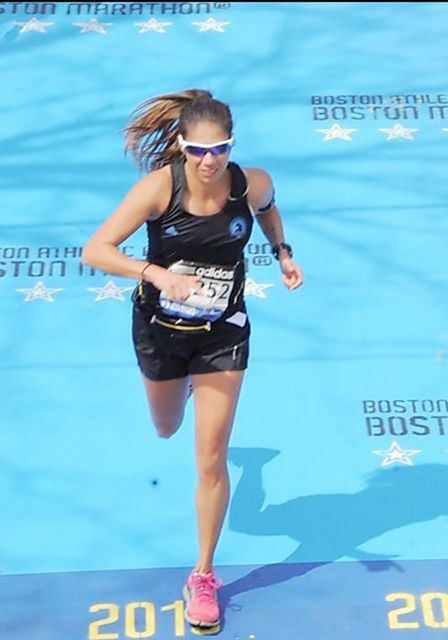 Although the Boston Marathon bombings were undoubtedly horrific, it didn’t hinder Karr’s motivation to continue to train in the hobby she loves. In fact, she returned to run the Boston Marathon again in 2015 and 2016, and she plans to keep attending in the future. Karr is training to run the Berlin Marathon in Germany later this month. Karr’s training methods include a combination of various workout plans she’s used in the past that coincide with her schedule and routine. Karr plans on attending the McAllen Marathon for the first time in January. She relies on her running group to keep her motivation up and their support helps her set training goals for upcoming races.